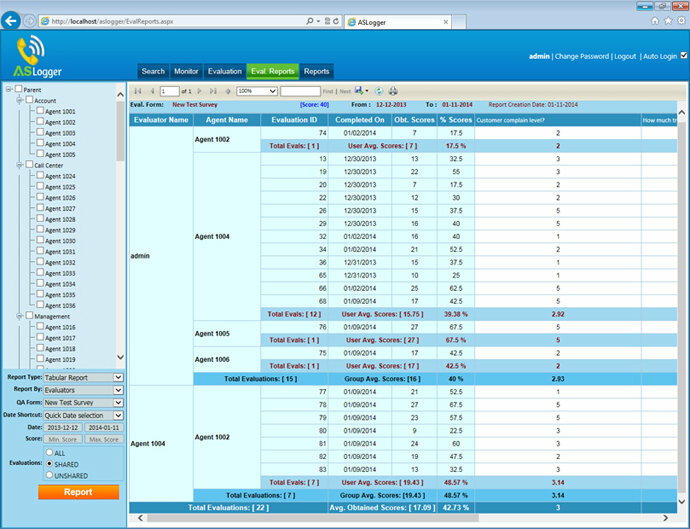 ASLogger agent's evaluations system is very easy, and quick. You can create/update custom evaluation forms according to your needs. 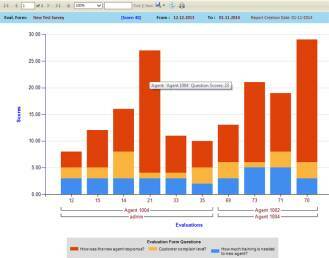 You can also manage user access rights to each evaluation form. Employees are your most valuable, and often your most expensive, business asset. Equip your employees to deliver better customer experiences through quality monitoring, agent coaching and training programs. With Agent Evaluation software, you can provide agents the feedback and training that they need to exceed customer expectations. Quality monitoring and performance management can provide insights into individual agent interactions as well as help managers discover deeper customer service and business trends.